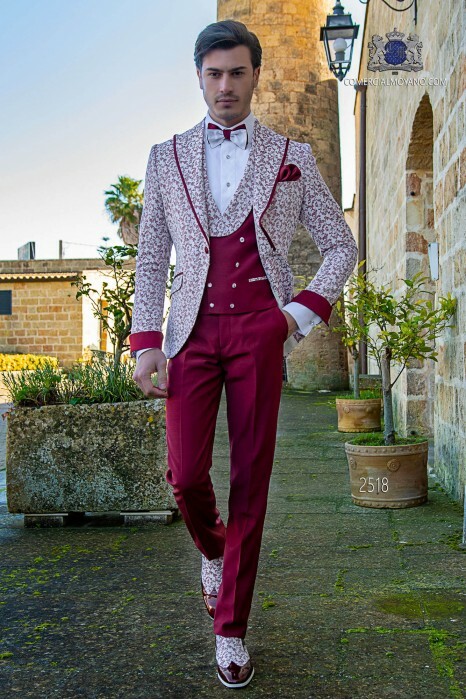 Italian wedding suit with Slim stylish cut. Special burgundy printed fabric with peak lapel with single patterned button closure and contrast fabric piping. Flap pockets with contrast trim and angled buttonholes. 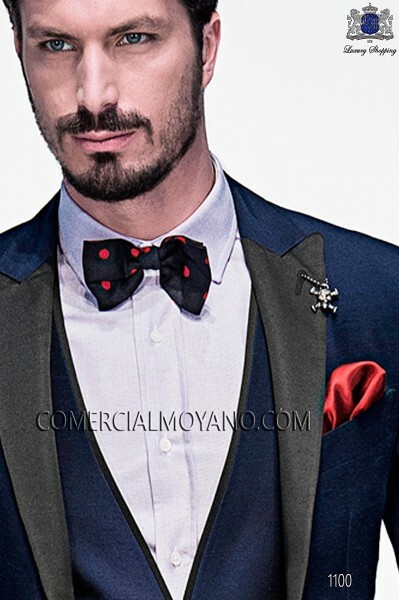 Tuxedo wedding suit 2518 Fashion Formal Collection Ottavio Nuccio gala. Coordinated with Burgundy waistcoat and trousers. Carlos Hernández (24/02/2017): Italian wedding suit Slim stylish cut. 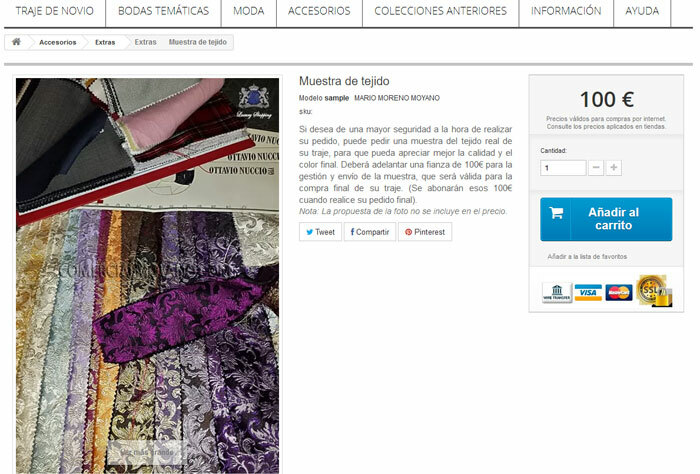 Special burgundy printed fabric - Muchas gracias por todo! El traje me sienta perfecto! Jorge Cardenas (14/06/2016): Italian wedding suit Slim stylish cut. 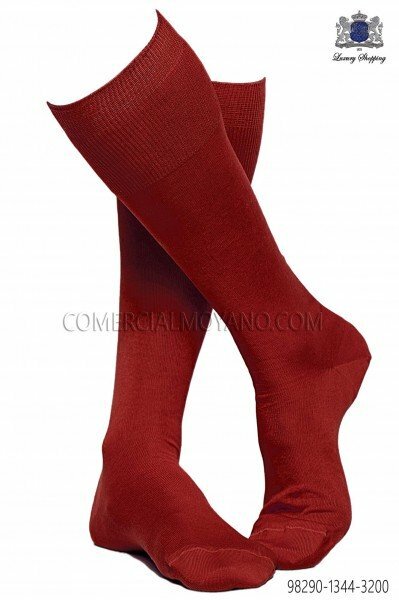 Special burgundy printed fabric - Tienda muy recomendable, gran trato y servicio. Paul Beckett (17/05/2016): Italian wedding suit Slim stylish cut. Special burgundy printed fabric - Good service, thanks for all! 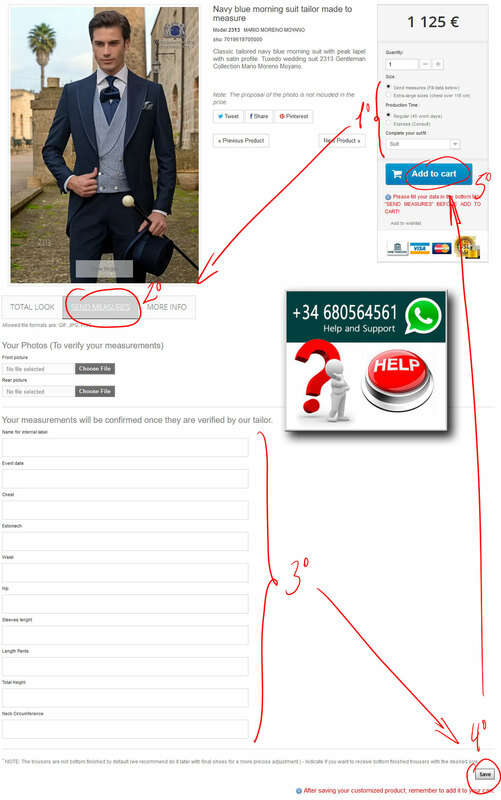 Wilhelm Günther (08/12/2015): Italian wedding suit Slim stylish cut. Special burgundy printed fabric - Bestellung ohne Probleme geliefert, alles ok danke! Pierre Babonneau (05/06/2015): Italian wedding suit Slim stylish cut. Special burgundy printed fabric - Je l'aime !! This suit is customized with your measurements and manufactured entirely in Italy. We provide you with the best fabrics and impeccable tailoring craft.